No one ever doubted the handsome, charismatic Italian tenor Franco Corelli was the personification of the romantic hero. So what better role for him than Roméo, the impetuous youth who defies his family, and his city, to follow where his heart leads? Corelli’s ardor knows no bounds in his quest for Juliette (the sparkling Judith Blegen). 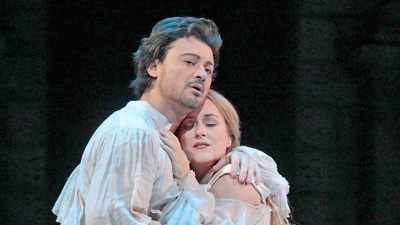 This performance leaves no doubt that even though Roméo and Juliette are young, they are truly, profoundly in love.